GET YOUR HANDS DIRTY. GROW GREAT FOOD. LEARN ALONGSIDE OUR FARMERS AND RANCHERS. Looking for full-time farm work, or just a few hours a week? Check out these exciting opportunities! The farm: Organic goat dairy making chèvre, yogurt and feta. The work: Help with making and packaging of product. Milk, feed, and water goats. Trim hooves, administer injections, give tattoos, dehorn goats. Fix fences. Change and move irrigation. 20-40 hours per week. March-December. Minimum commitment: 3 months. *Housing available on-farm. Wages DOE. The ideal candidate: Someone with experience in working in agriculture or processing. Willing to train, but must have impeccable work ethic. The farm: We raise a flock of approximately 40 sheep on about 12 acres of fenced divided pasture. The work: Hand weeding in pasture (shovel work), minor fence maintenance and repair, stacking hay, brush removal, irrigation system maintenance and repair, general manual labor. 4-8 hours per week. April-October. Minimum commitment: 1 month. Wages DOE. The ideal candidate: Someone who is physically adept, willing to work in hot weather, knows which end of a shovel to use, can operate a wheelbarrow, understands basic mechanical concepts, is comfortable around livestock and dogs, is not afraid to ask questions, shows up on time, and wants to learn. The farm: Red Shed has been growing vegetables and fruits organically for people in the Methow Valley since 2000. We are scaling back our production but still need help with the perennials and select annual crops planned for this season. The work: Assisting in the cultivation of growing vegetables and fruits: weeding, planting, harvesting, washing, picking fruit, mowing, roto-tilling. 6-12 hours per week. April-October. Minimum commitment: 4 months. Wages DOE. The ideal candidate: Hard working, friendly, has some experience on a farm, likes to work outside. The farm: We grow 16 varieties of apples for cider and juice -- plus pears, blueberries and quince on our 6-acre orchard. The work: Helping apple trees grow with tender loving care. The main activities include pruning, thinning, weeding and picking. Wages DOE. The ideal candidate: A diligent helper that can assist our Orchard Manager with arbor-related chores. The farm: I grow certified organic vegetable, flower, and herb seed which I sell wholesale to seed companies who market it. The work: Help with field preparation, planting, cultivation, and harvest of seed crops. 1-2 days/week. April-October. Minimum commitment: 1 month. Wages DOE. The ideal candidate: I would like to work with someone who has an interest in seed saving and also plant breeding, if possible. They should have some experience with organic row crop farming. The farm: Ruby Slippers Farms produces: mixed row-crop veggies, specialty melons, peonies. We market as much as possible within our Bio Region and on the Coast of WA. We have a non-subscription CSA: Grab N Go. Our practices include: regenerative agriculture, Korean Natural Farming, minimal till, Vermiculture, BioChar, we view all organic materials produced on the farm as resources- not waste. We love what we do and respect the love and labor and our customers, as well as the land. The work: Ruby Slippers Farms is seeking a motivated person to drive our farm truck to two farmers’ markets in Seattle. The markets are a blast as well as real work. There will also be (at least) one day a week of work on the farm. 25-40 hours per week. March-October. Minimum commitment: 5 months. Wages DOE. *Housing possibly available on-farm. The ideal candidate: Motivated and disciplined; able to lift 40 lbs. A good marketer will be able to learn our farm practices thru hands-on and be able to talk about the qualities of all the varieties and provide excellent customer service. I will be with you at the markets for several weeks for training. The farm: We have 270 trees on one acre with 30 varieties of organic apples, pears and cherries. We sell locally at the Farmer’s Market, and direct sales from the farm. 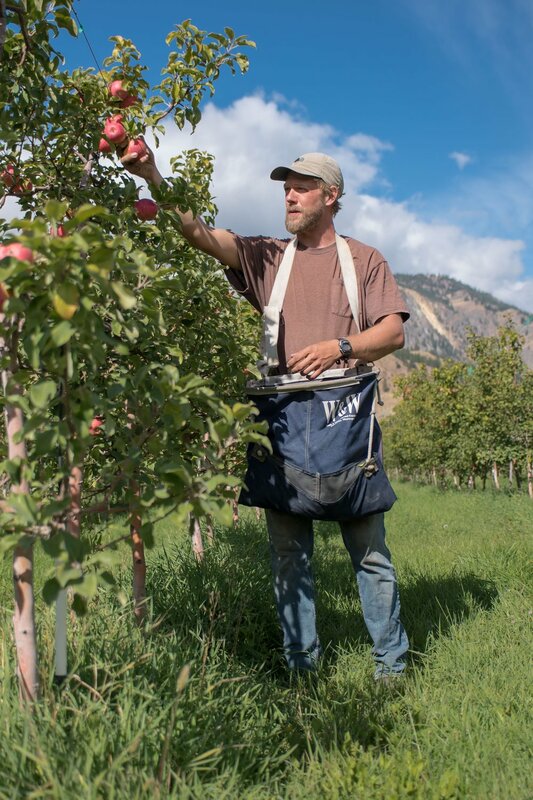 The work: Orchard work with tree training, thinning fruit, irrigation, possible fence repair, weeding, harvesting. 6-10 hours per week. June-October. Minimum commitment: 2 month. Wages DOE. The ideal candidate: Flexible, likes to work outside, self reliant.